The United States and the United Arab Emirates have signed a deal on May 11th which is the resolution of a long argument over the use of alleged UAE government subsidies to its airlines and accusations of unfair competition within the United States. The deal was signed in private at the State Department by Manisha Singh, the Assistant Secretary of State and Yosef al-Otaiba, the Emirati Ambassador to the United States. But in reality the US airlines have gained nothing. 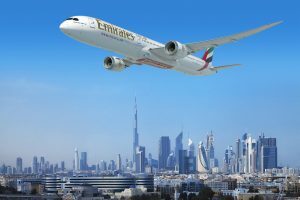 The big item is that Emirates and Etihad Airways will voluntarily open up their accounting books by publishing annual financial statements that are to be consistent with the accounting standards recognized across the globe. The UAE airlines have also said that they have no plans for further so-called fifth-freedom flights, which are routes to the United States that do not originate in the UAE. But they will continue with existing flights. The American airlines did not get anything they wanted. The main thing they sought was to put an end to those fifth-freedom flights but there is nothing in the agreement to prevent Emirates and Etihad from making such plans in the future. The Americans also claimed a win because the UAE airlines promised to publish yearly reports on their finances that are up to international standards. But since 1994 Emirates already publishes annual reports that are prepared in accordance with International Financial Reporting Standards and are audited by PwC, a British accounting firm. Notable by its absence is any sort of commitment on subsidies, an issue at the heart of U.S. carriers’ arguments of unfair treatment. The latest deal (according to reports) will simply note that while subsidies can be distorting, they’re a normal part of the aviation landscape. The deal is similar to one struck between America and Qatar in January, which also averted the course of action the Gulf airlines most feared, namely a full renegotiation of the “open skies” treaties that allow them to fly freely between their home states and America. In reality the American airlines did not have much hope for a better outcome in these negotiations, because the substance of their claim against the Gulf carriers has always been lacking. Airlines in America have also enjoyed billions of dollars in various government subsidies over the years and it has always smacked of hypocrisy that they are taking aim at the Gulf carriers. For many travelers the actions of the US3 reeked of protectionism of both the US carriers and their code-share/alliance partners. Consumers care about keeping fare prices under control; not about whether a government did or did not subsidise its airport to assist the home airline. In addition some consumers actually better service given by the Gulf airlines to ordinary passengers. And the showers for first class passengers. So their is an agreement – but it is more an armistice than a peace treaty.